A dispenser style box is made to ensure easy showcasing and pouring out of your small items at the retail shops. In fact, the main objective of a dispenser is not to pack your items but to ensure easy display and sale of products that are compact in size. 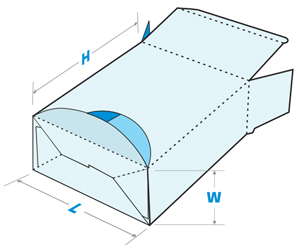 Since they are used frequently with auto bottom structures, they can be folded-flat as well as stretch-opened according to requirements. 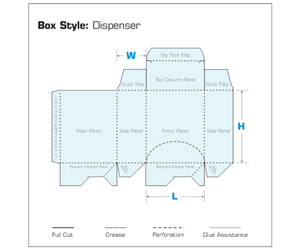 A dispenser box encourages impulse purchases and is known as an ideal placement at point-of-sale. 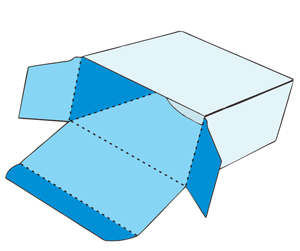 You can either choose a design that lets you insert your products within the box and pour them out from a die-cut hole or you can get it printed and die-cut in a tray form as per your business needs. In addition, we ensure speedy turnaround time, free design support and quick shipping at your doorsteps at extremely reasonable pricing. If you are keen to learn more about our custom dispenser packaging, please ask one of our representatives for assistance.